Quarterly Selections: You will receive 3 bottles of our estate-grown wines 4 times a year. Wine Selections: Incudes reds only chosen by our winemaker. 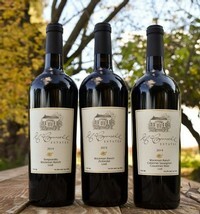 Quarterly Selections: You will receive 3 bottles 4 times a year of our wines hand-selected from our vineyards.